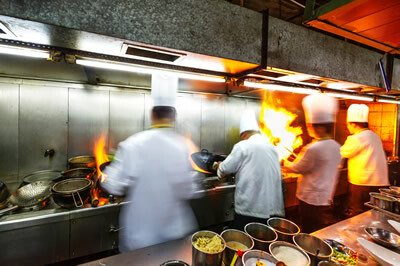 Commercial pest infestations can cause health problems for staff and clients, plus serious economic loss through damaged stock, and a damaged reputation. With over 10 years' commercial pest control experience in Auckland, Tauranga, Hamilton, Rotorua and Taupo, we understand the need for a discreet and sensitive application. We'll develop a pest management programme tailored to your business, and can carry out pest control treatments monthly, bi-monthly, or quarterly. Our pest control programmes won’t hurt your budget, and because we use Citronella-based products, they're safer for your staff, customers and the environment. Why choose Wild Weta for your workplace pest control? We'll get rid of your pest issue on the first visit - if they come back within the above guaranteed period, we’ll return to completely re-treat your workplace for free! Cockroaches appeared in your restaurant in the early hours of the morning? Just give us a call - we’re available round the clock. We can even visit you after hours if you prefer. Our low-toxic formula is much safer to be around, so you only need to leave your premises for 2 hours - meaning minimal interruption of your operations. Wild Weta has twice been recognised as "Business of the Month" by No Cowboys, and has a 96% approval rating. Our technicians can also provide information and safety data sheets on our chemicals and procedures, and we'll keep you informed of the expected outcomes for different pests. We're also more than happy to provide pest control advice to help you stay pest-free for longer. Due to the varying nature of commercial pest control treatments, every job needs to be quoted on an individual basis. cost for the longer warranties. Thank you for your valued business.